Faced with the critical discourse that appears to have reduced narration to an element removed from the spirit of dance, “Antistories” attempts to rehabilitate the story, presents the whys and the wherefores of an infinite history of intersections, convergences and complications between the malice’s of narration and the malice’s of dance. It does so by identifying the evidence of a dance secretly inscribed in the unexpected events of the story (from its original form, the myth, to its latest derivations, in the post-modern novel) and it does so through dialogue with different protocols of thinking and doing, from figurative art to 20th Century philosophy, from physics to biology. 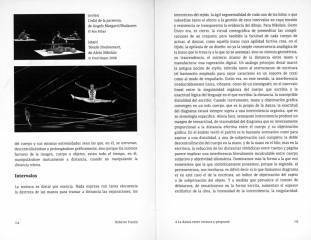 This heterogeneous book speaks about clouds, water lilies, shipwrecks, panoramas, fabrics, warps and wefts, without losing sight for an instant of the most varied expressions in dance today and the plurality of authors that shape their poetry like that of an “extreme” story. What it offers is not simply a revolutionary read on the brotherhood of body and story, but rather a general theory that attempts, dynamiting some common areas of criticism, to rehabilitate the choreographic vocation of modern dance, discover the ornamental roots of performing dance, and demonstrate that dance, like all myths, constitutes something like an admirably “collateral” effect. 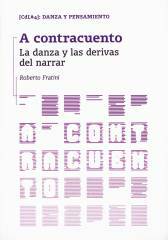 Roberto Fratini holds a PhD in Performing Arts from the Universitat Autònoma of Barcelona and teaches the Theory of Dance in the Conservatori Superior de Dansa of Barcelona. He is a dramatist and essayist. He has created various dramaturgies for choreographers in Spain, France, Italy and Switzerland and regularly runs specialised courses and workshops on the theory and dramaturgy of dance in different university institutions and European theatres.